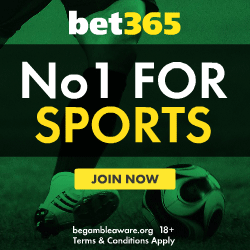 The Lucky 63 is a 6 selection wager consisting of 63 bets: 6 singles, 15 doubles, 20 trebles, 15 four-folds, 6 five-folds and a six-fold accumulator. Named after its 63 parts and the 'lucky' bonuses available, the lucky 63 is an aptly named bet. Bonus scenarios include: 'all winners', 'one loser' and 'one winner' and usually involve either a % bonus to returns or a multiplier to the odds. Paddy Power have consistently offered the best bonuses but it is always worth checking around and verifying with each bookmaker the precise terms of any bonus before placing a bet. When entering the 6 selections into the bet slip boxes, don't worry about the order in which they appear as all selections occur the same amount of times across all 63 bets. 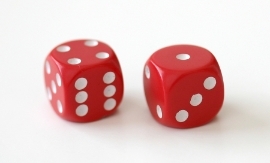 Winnings can be worked out manually but the lucky 63 calculator is the preferred method of most. Choosing one winner or more will generate a return from the Lucky 63. Lucky 63 bet calculator - Work out the returns on your 5 selection lucky 63 bet, factoring in bookmaker bonuses, dead heats, non runners and each way options. Fast and easy to use, just enter the details and your winnings will update automatically. What is a lucky 15 bet? - Found yourself 2 sort the required 5 selections? Then the lucky 15 is the way to go. A smaller cheap bet that also had bonuses applied, albeit smaller than the lucky 31 and 63 alternatives.